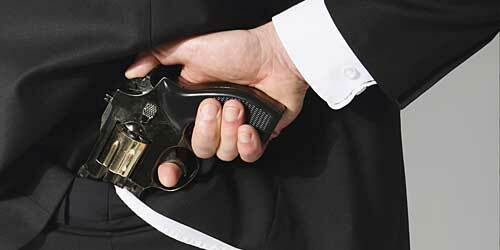 Are you looking for some specialized, professional security training? Our complete curriculum and security training is a preferred educational path for Protective Services Officer (PSO) candidates, and other security professionals. Many of our past students have gained the advantage of getting started much more quickly on their new careers by utilizing Beach Security training services. This fully encompassing training curriculum offers all you need to help launch your new security career, or brush up on current skills, or certifications. We even go that extra mile to assist you with job placement upon graduation. Our variety of training services, from security guard and firearm training, DCJS, first aid certifications, workplace violence training, and more, is the best security training services available in Hampton Roads. All Beach Security instructors are experienced and certified, have prior law enforcement experience, and use the latest in proven techniques, and current technologies to prepare students to handle any situation they may encounter with efficiency, confidence, and to be conscious and aware of public, and private, laws, per local ordinances. Beach Security also offers individuals who are looking for full, or part time, employment the opportunity to get trained and certified in the ever-growing field of protective services, at minimal cost. We even offer job placement assistance upon graduate from our Protective Service Officer (PSO) Candidate Program. 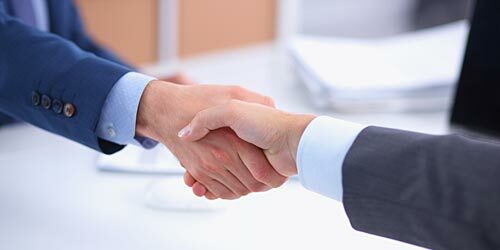 Companies hire hundreds of certified PSOs every year to meet the growing demand for PSOs in the Washington, D.C., Maryland, and Virginia area, for PSO services. Make sure to have this valuable certification to open more doors in your career pursuits, and give you more options for gaining quality employment. Let Beach Security help you achieve your security training goals. Browse our training services below, for more information about how we can help you reach your security training goals. If you have any questions, please do not hesitate to contact our security professionals for more help. 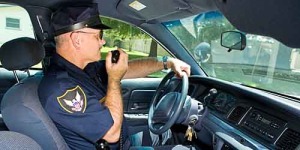 Security guards employed with Beach Security receive the best training in Hampton Roads. 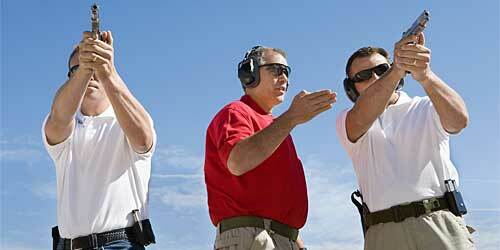 The instructors that provide this armed guard, and unarmed guard, training have prior law enforcement experience. They teach the latest tactics using current training techniques and utilize the latest in security enforcement equipment. Only in this way can we assure that Beach Security guards are trained with the proper tools needed to complete the job assignments, regardless of the situation. Beach Security guards receive additional training in communication and self-defense. This training is above and beyond what is required by the Department of Criminal Justice Services (DCJS). If you are a newly certified security guard, or desire to work with one of the premier security service businesses, please go to our Employment page and fill out an application. We are always looking for good people who want to work for a great company. All security guards working for Beach Security that are assigned to armed post have to complete the required Department of Criminal Justice Services (DCJS) training, and pass a qualification course of armed fire. Each officer will have to undergo additional training annually. In addition to the required firearms training, all armed Beach Security officers working for Beach Security are required to have their firearms inspected to be in working order, and they must be instructed on weapon retention. This includes the use of a level three holster. This is the highest level of holster retention and is commonly used by law enforcement nationwide. 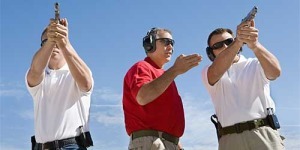 If you would like more information on Beach Security firearm training, contact us today. Regarding concealed weapons, the Virginia Code Section 18.2-311 describes the certain weapons, included knives, which are illegal to possess in Virginia. Virginia Code 18.2-308 addresses weapons, and the concealment rules and regulations of those firearms. 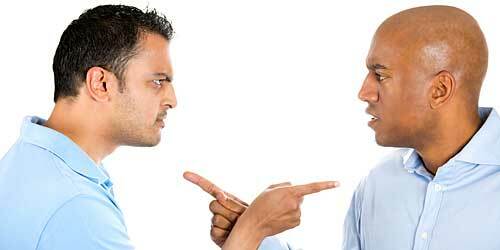 In certain cases, and according to local ordinances, those weapons laws may vary. If you are at least 18 years of age, you may possess and transport a firearm, but you must be 21 years of age to possess a concealed weapon permit (CWP) in the State of Virginia. Therefore, if you would like to apply for a concealed weapon permit (CWP) you must apply in the Circuit Court, in the state in which you reside. According to Virginia State Code, before you can gain approval for a CWP application, you are required to complete a firearms safety course. Beach Security offers a quality firearms safety course which is more than sufficient, to be used in pursuit of your CWP. For further information on concealed weapons permits, contact your local law enforcement agency or contact Beach Security for help. For further information on DCJS training, contact your local law enforcement agency, or contact Beach Security professionals. Beach Security instructors will provide you, and your employees, with Red Cross first aid, CPR and AED training and certifications. 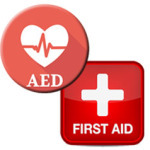 These first aid, AED and CPR certifications meet the needs of the workplace responders, professional rescuers school staff, professional responders and healthcare providers, as well as the general public. 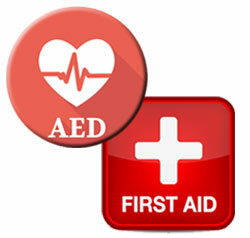 All employees of Beach Security are provided training in first aid, CPR and AED. Contact us for further information on dates and times we provide this valuable, life-saving training. Workplace violence is something that can cause major disruptions to personal and corporate assets, not to mention much personal, and professional, turmoil. Instructors with Beach Security have years of training experience provided through federal, state and local government agencies, and know how to approach violence in the workplace. The goal of Beach Security workplace violence training is to educate corporate leadership, and employees, and heighten their awareness of violence in the workplace. Our workplace violence training teaches one how to recognize the warning signs that violence may occur, and what actions to take to prevent, minimize, or deal with violence in the workplace. If you are interested in scheduling personal or corporate, or individual or group classes for workplace violence training, contact Beach Security to assure you will be instructed and training by certified, quality instructors, and you will be prepared to handle an occurrence of workplace violence efficiently, and with minimal loss to assets, and employees. 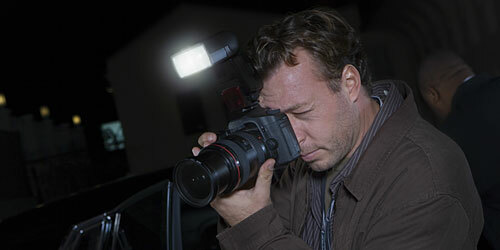 Private Investigator trainees with Beach Security Academy receive the best training in Hampton Roads. 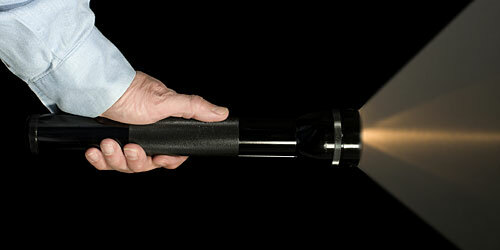 The instructors that provide this in-depth training have prior law enforcement and criminal investigative experience. 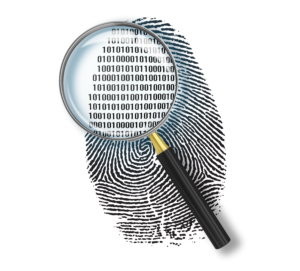 They teach industry standard investigative techniques and utilize the latest equipment available. Only in this way can we assure that Beach Security Academy students are trained with the proper tools needed to complete the case assignments, regardless of the situation. Beach Security Academy students receive additional training in interview and interrogation, deep-web & social media searches, and physical & electronic surveillance techniques. This training is above and beyond what is required by the Department of Criminal Justice Services (DCJS). If you are a certified investigator and desire to work with one of the premier security service businesses, please go to our Employment page and fill out an application. We are always looking for good people who want to work for a great company. Beach Security training programs are focused on providing training to rising, and current, security officers in areas that are specialized to meet our clients in areas of the federal, state, and local government related to the security field. Graduates are intended to pursue security careers that provide services to local businesses, and individuals, throughout the State of Virginia. Training hour requirements vary based on additional contract requirements, such as first aid and CPR certification. While security standards vary among companies, the more certifications you accomplish, the more options you will have for quickly gaining quality employment upon graduation. In local Hampton Roads, the largest number of opportunities in the security field involve protective service certifications. In fact, some locations require achievement of both federal and state certifications, in order to work as an armed Protective Services Officer (PSO). If you have already completed any part of a particular program’s requirements (e.g. first aid, CPR, AED) and are current in that credential, you may be eligible to be granted credit for that requirement. If so, your training hour requirement will be decreased, on a case-by-case basis. Current clearance eligibility is a big plus for admissions, provided you meet other requirements, as well. Be capable of frequent and prolonged walking, standing, sitting, and stooping, up to 12 hours per day, either indoors or outdoors, during daytime or nighttime. Our security training candidates can be certified at the federal and/or state levels. Beach Security certification programs, and the number of training hours required for each will vary according to candidate experience, specialty focus, and differences in state, and local ordinances. For more information on each training topic, contact Beach Security. We are standing by to connect you with one of our security training professionals.